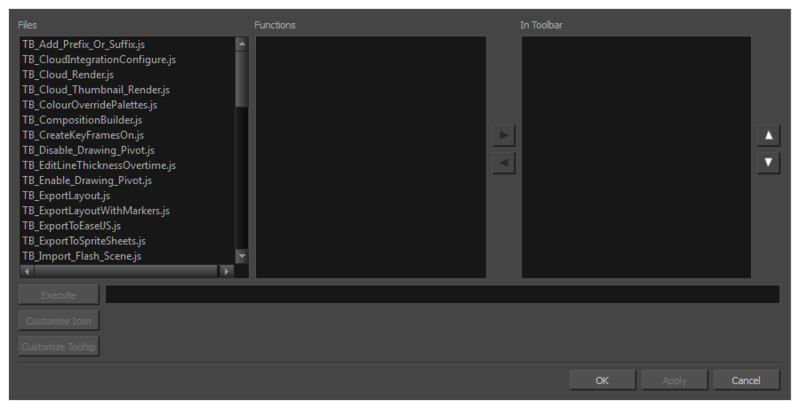 When importing Flash files, the Scripting toolbar must be displayed, which should contain the Import Flash Scene icon. If the icon does not appear in the Scripting toolbar, add it to the toolbar. Note that you will only have to do this once. After that, you can import Flash files whenever needed. The Scripting toolbar bars appears below the File toolbar in the upper-left of the Harmony interface. Click the Manage Scripts button. From the Files section, select TB_Import_Flash_Scene.js. On macOS, the Library folder is a hidden folder. To display the display the folder, told down the Alt key. 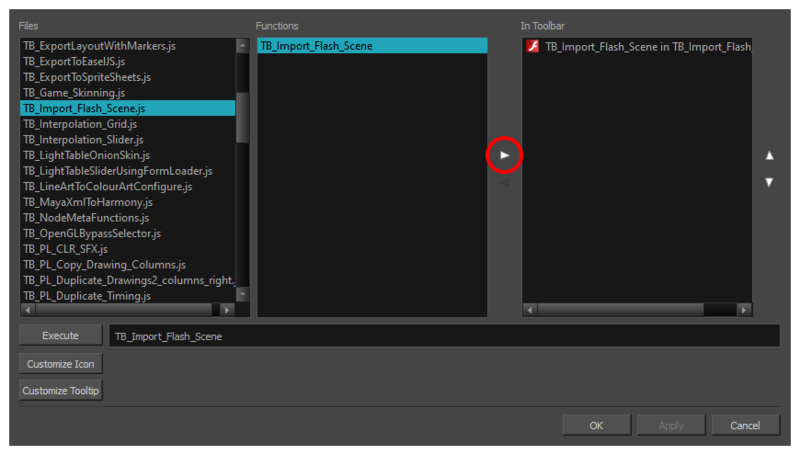 From the Functions section, select TB_Import_Flash_Scene and click the arrow button to move it to the In Toolbar section. The Import Flash icon appears in the Scripting toolbar. Everything is now ready to import Flash scenes.